With Easter right around the corner I thought I would rustle up some yummy Easter goodies! These little beauties are Nutella and Malteaser Cupcakes, they have a delicious nutella and Malteaser base with lashings of butter cream and topped off with Malteaser bunny ears and butterflies. So now you have your ingredients, let's get baking! 1. Cream together your caster sugar and margarine, once all nice and smooth beat two eggs together and add to the mixture. 2. Now you have all your wet ingredients blended together add a little of your flour gradually, keep mixing until the mixture is smooth in consistency, but not too runny. 3. Melt your nutella in the microwave for approximately 30 seconds and pour this into the mixture, ensure to mix well so you get the yummy chocolatey flavour throughout. 4. Crush your malteasers and add these last to the mixture, these taste amazing when baked! 5. Bake for around 10-15 minutes, until the cakes turn golden brown. You know they're done when you stick a cocktail stick in them and no mixture is left on it when you remove it. 6. Allow the cakes to cool for around 15-20 minutes. 7. Now the fun part! Mix your icing sugar and margarine together to make a thick butter cream, once this consistency has been achieved add your green food dye, keep mixing and adding the colouring until you get the desired shade of green. I went for a bright light green colour. 8. Use your Malteaser bunnies and cut off the ears (brutal I know!) dip the ears into the icing and stick them in the centre of your cakes, this makes it look like the rabbit is popping up out of the cake. 9. Now pipe your green icing onto the cakes using a piping bag. This makes the icing look like grass. 11. Et Voila! Enjoy with a nice cuppa and good company! Yum! Let me know what sweet treats your making this Easter! When it comes to my every day make-up I always go for a feline flick with a bold lip. Dark hues for winter and bright pops of colour for spring and summer. I'm not going to lie it took me a long, long time to master the liquid liner cat eye, with many a failed attempt. I used to get one eye looking perfect, but could I get the other to match? No. During my make-up wearing years I have tried many types of liquid liner, from pens to gels and various brushes. Some good , some bad. What I have found is I'm much better at applying it with a stiff pen, rather than a soft brush. On a recent shopping trip I popped into Superdrug and this little beauty caught my eye, it actually looks like a marker pen! If you left it in the drawer I can guarantee someone would use it to write with! The Maybelline Master Graphic Eyeliner is a very chunky looking pen, with a highlighter-esque applicator. The brush is very firm and doesn't move when pressed against the eye, which is always good as it makes for a smoother line. Now this liner could be very hit and miss, it is so useful for getting the perfect point to your flick as you can just point the pen angle in the direction you want your flick and draw straight down. However, one mistake you could make is holding the pen in the wrong direction and getting a very thick line. It's all about mastering the angle you want and getting the pen to do this for you. It may take a couple of tries but now I find it so easy to use! The colour pay off is brilliant as it gives a sharp bold line and the durability is also incredible, it doesn't smudge or flake. Another positive is that it is so easy to remove too, no scrubbing your eyes to get it off! As you can see the colour is very matte and not shiny which I like. It dries really fast too so you don't have to keep your eye shut and wait for it to dry, many times I've just got it looking perfect and opened my eye only to have it smudge all under my eyebrow! Not a good look! The product can be bought from Boots or Superdrug and retails at £5.99, which I think is a good price for how well the product translates in terms of colour and longevity. I would definitely recommend giving it a try if you struggle to get the right flick as the angled pen makes this so much easier. Overall I'm thoroughly impressed with it and will definitely consider re-purchasing it in the future. I've always wondered if I could go back in time and do it again would I do anything different, I have always thought not really no. But I would give myself better advice, both serious and light hearted. -I would first tell myself not to stress so much over little things. Although I still do this now. -I would tell myself not to worry about boys. Or that i'll never have a boyfriend because the reality of the matter is, future me does have a boyfriend and one who is going to be my husband! 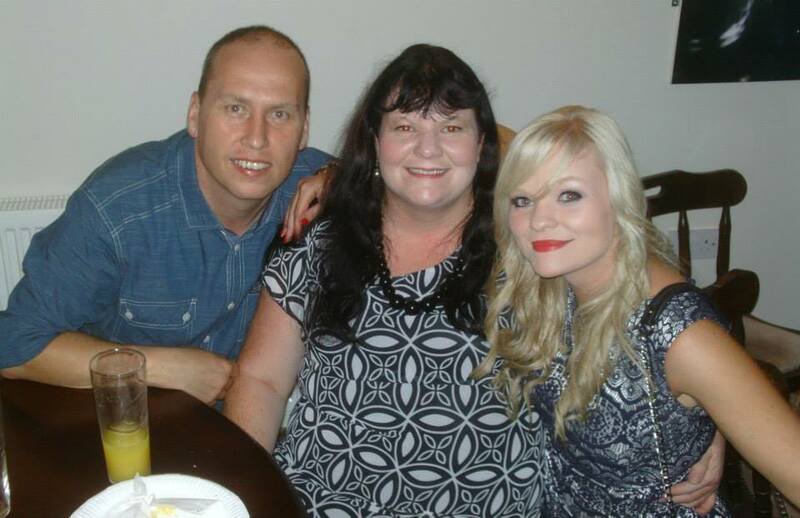 -I would get rid of that hideous fringe (see my mothers day post!) You suit a side fringe much better. -Let's stop wearing foundation on its own, you need some blusher on. -Spend more time with your family than on the computer, they love you. -Don't get hung up on the latest trends, both fashion and technology. They change that fast there's no point worrying about it. -Don't spend so much time worrying about the paths you've chosen, things will work out in time. Even at 21 you still are a little lost. -Appreciate your friends, they are the best. -Do not drink Sambuca straight from the bottle. Especially not when dressed as lady gaga. You will regret it, I can promise you that. -Try not to obsess so much over your weight and just accept yourself as you are. -Unfortunately, not matter how nice you are there will always be people who don't like you. That's life. -Don't take what people say behind your back to heart. They aren't worth it. -Don't wear those massive heels to school. You may think you look cool for all of 5 minutes, until you fall in the mud. -Be more confident in yourself, you can do this! If you could meet your younger self what would you tell them? So this past Sunday was Mother's Day, however, both me and my mum both worked this Sunday so instead celebrated Mother's Day on the Saturday. This post was going to go up before now but with work being so hectic I haven't had the time to sit down and give it the thought and attention that it deserves. My mum is a wonderful and talented person, she is so good at sewing that she made my prom dress and is going to be making my Bridesmaid dresses. I wish I could have got some of her creativity! I can sew the odd hole up but that's as far as I go in that department. Not only that but she is wonderfully supportive and even now at the age of 21 she jumps to defend me and protect me when I'm feeling down. I can have a good moan to her about how I feel and know that everything will be alright in the end. When I was younger we used to always have 'Art Attack' on in the morning and try and create something together from it. She used to always enter me in our local fancy dress competitions with things she had made - I have been a scarecrow, tin man, jockey with horse! and much more. I will always treasure our art mornings together, that and I regularly won those competitions! She always jokes that I'm a daddies girl but my mum equally has a very special place in my heart, she has put up with me through my awkward teens and moody ways and I'm glad to say we've gone through that now! I bet she is too! I'm still going to hold this fringe against her, it was not her best decision to give me such a full thick long fringe! I love how she can have a joke with me, especially here when I thought pouting looked good- I will stick to a smile from now on I promise! I have been on the hunt for a good red lip liner for a while now. I wanted one that I could wear with MAC Ruby Woo Lipstick. I was just popping into Superdrug one day to pick up my usual necessities when I stopped at the MUA stand, Lip liners for £1.00?! Too good to be true, I grabbed 'Red Drama' and ran to the till. Now due to the price I didn't have high expectations for this product, for £1.00 it was worth a try and I have been very very pleased with myself. This MUA Lip Liner has really impressed me. The formula of the pencil is very creamy, meaning that it is so easy to apply to the lips and doesn't need to be warmed up before application. It glides on smoothly and is easy to use. The lip liner itself comes with a sharpener in the lid meaning that you don't have to worry about having a blunt pencil to work with! This is definitely a bonus for me as I'm always losing sharpeners. The pencil is described as being 'intense colour' which is very true, the consistency is very opaque which is lovely to say how creamy it is, the colour pay off holds it's own. It's a vibrant true red. Speaking of colour, the whole purpose I wanted to pick up a red liner was so that I could wear it with my favourite red lipstick, MAC Ruby Woo. Did it fit the bill? It certainly did! Such a perfect match! I cannot believe that I chanced upon such a good lip liner which not only applies beautifully but matches Ruby Woo perfectly- and all for a mere £1.00! If you are a lover of red lips then I would highly recommend trying out MUA Lip liner for yourself, I'm almost certain you not be disappointed. Especially if you are a fan of MAC's Ruby Woo as they go together beautifully. Definitely a 10/10 product. Have you got any other Red Lip recommendations? let me know in the comments below. I started blogging back in December 2013, which to some might not be long ago and to others it might seem a long time. The past year or so of blogging has taught me a lot of things that I wish I had known before I began blogging, and whilst my blog is still a work in progress and not up to the same standard as other bloggers I follow I am starting to feel very proud of my little space. Here are some things I thought I would share with you that I wish I had known when I started this blog. 1. Join Bloglovin. I had no idea about Bloglovin when I started writing this blog, there was no way to follow my blog apart from google+ or blogger itself. My views were very small and not often even if I posted regularly. I just couldn't work out why. Well it's obvious now, the only way people would find my blog was by sheer chance. 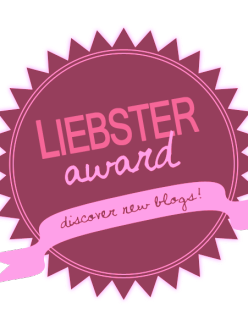 Bloglovin allows you to keep up to date with new posts from the blogs you decide to follow. 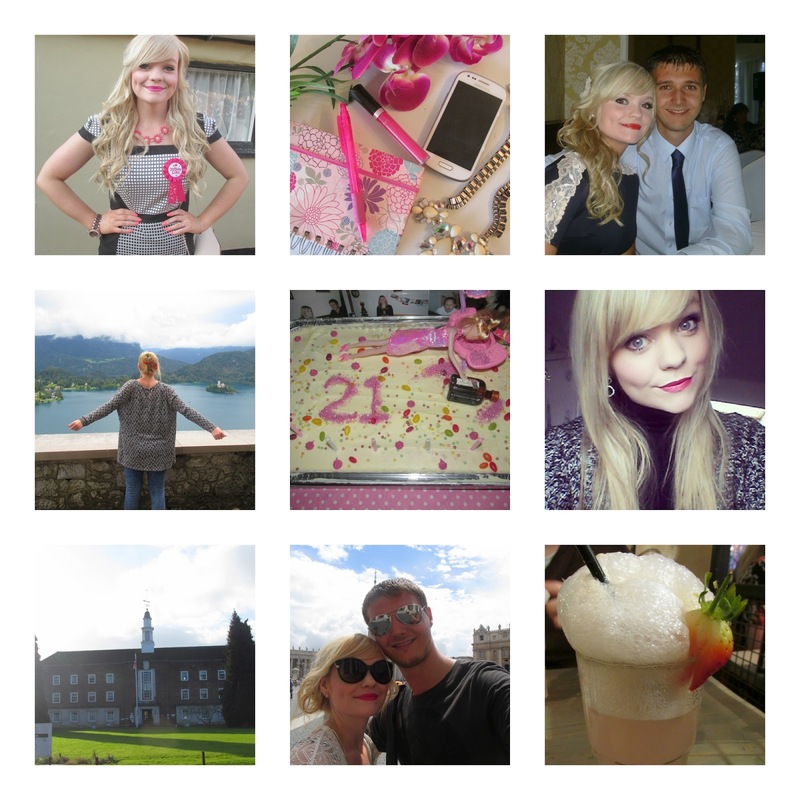 I really love it and often find some really good blogs using the explore section of Bloglovin. 2. Comment More. Again with my blog being so small and not easy to find the most effective way to boost traffic is to pay attention to other people's blogs. If you read a post you like, make a comment. It's about supporting each other in a positive way. I would not recommend commenting with something like 'follow my blog' as this is just too forward and it makes people less likely to have a look at your blog. 3. Photography. Bigger brighter images are always more captivating. Although your content and writing style are what keep your readers coming back the photography is what draws the attention to the post in the first place. If I myself see a really beautiful photo I am more likely to click the post to see what it's about. You don't need any fancy gadgets for this, I just use a shoot and point camera and natural lighting- I mainly take photos in the kitchen as this has the best lighting in my house. Add a few props to make the picture more full looking et Voila! Your ready to pop the picture onto your blog. 4. Join in Twitter Chats. I didn't actually know these chats even existed when I first started blogging and I'm not much of a twitter user. I prefer facebook to be honest. However, I did sign up to twitter to give it a go and I came across these twitter chats. There are all sorts of chats; ones for beauty bloggers, lifestyle bloggers, fashion bloggers and more. It's such a good way to get to know other bloggers in your niche and share tips and ideas. 5. Link older posts into your new ones. I have found that it's mainly my newer posts that draw traffic and therefore by linking in older posts that are of a similar topic I can continue to gain views on my older stuff too and not just the most recent posts. This is also good as readers who have clicked on your post because they are interested in the particular topic you have written about can find more of that type of topic within your blog, without having to actively search for it. 6. Keep a notepad handy. I always have ideas for posts at random times, so now I always keep a notebook on me so I can write them down and save them for a later date. It often helps when I'm lacking in the creative department and struggling to find something I want to write about. 7. You can schedule posts. Believe it or not I never really noticed the schedule button next to the post and didn't realise that you could pre-write posts and have them posted without even needing to be there. When you work full time this comes in so useful as it means on my days off I can pre-write the posts I've planned and then schedule them to go up. It saves time and means I don't have to quickly type up posts when I've just got in. I hope you have picked up some useful tips from this post, I wish I had come across something like this when I first started blogging, the first month or so I had 0 views! Now I know why. So Mother's Day is coming up next Sunday, and I thought I would get my creative side out and have a go at some D.I.Y cupcakes. Well when I say D.I.Y I did have a little help from a certain cake box mixture...well, we're not all Mary Berry sadly. 1. Following the box instructions, mix together the dry ingredients from the packet with 1 egg and 5tbsp of cold milk. 3. Fill the rest of the cupcake cases up with the rest of the mixture. 4. Bake for 10-15 minutes. Sadly I may have left mine in a few minutes too long as there slightly more brown than golden! Decorate however you want, I chose a pink and yellow theme with these little sugar butterflies and pink wafers (all from Asda). I decided to use both icing and cream, just to make them that bit more decadent and delicious. I boxed mine up in these pretty cake boxes from Home Bargains, they were less than £1.00 for 4 boxes, which I think is a bargain. There we have it, some very gooey and sweet treats for Mother's Day! A little tip I do have (we all learn from experience!) is to pop the decorated cupcakes in the fridge for a while to set them, I left mine in the box for just a few minutes and the icing and cream started to melt rapidly haha. When we went backpacking this summer just gone we made a pack to try as much food as possible (who could resist a pack like that!) & that's exactly what we did. One of the places that came up tops in the food department was Amsterdam. Warning! Most of our eats are not in the healthy category. Now these may look like ordinary chips, but it's the sauces that really blew our minds! So much more variety than here in the UK; curry ketchup, hot chilli, satay (peanut) and more. My personal favourite was the satay sauce as we all know I have a penchant for Peanut butter! I can eat it savoury or sweet, like in my peanut butter nutella porridge. Yum! Another concept that blew our minds was Febo! An oven vending machine is the best way I can describe it, you just put in your money next to the door you want and it unlocks, hot food ready to go! We went for a croquette type concoction with potato inside. This tasty treat is known as a Stroop Waffle, it's two very thin waffles sandwiched together with caramel, they are really delicious. The waffle itself is wafer like and sweet, with a good helping of sticky caramel to hold them together, it was gooood. In fact all of the food was good hence this post, but you know what I mean! These delicious treats are poffertjes, think mini fluffy pancakes covered in syrup, butter and icing sugar. These were my favourite, so so sweet and so so good. The only time I've seen them here in the UK is at Christmas markets, so this year I'm definitely looking out for them. Do you like trying new food on your travels? One of the most special things I wanted to do was ask my 4 closest friends to be my Bridesmaids. I wanted to do it in a unique and memorable way instead of just simply asking them in person, I have been fortunate and lucky to have these ladies in my life for years now and we have some amazing memories together. Therefore I thought they deserved something a little special. I bought some white and silver boxes (silver is part of our theme) and then decided to fill them with some nice goodies. I bought some photo paper to print the 'Be my Bridesmaids' part of the box. Then inside I bought some silver tissue paper to hide the surprises in. Inside I popped in; a instagram style photo of all of us from various nights out and holidays, a theme card so they get a sneak preview of what to expect, a sparkly silver nail polish and some earrings. I just wanted them to be able to have a keepsake and I think the photo frame is perfect for this, its something they can use and remember that it was from me asking them to be part of my special day. The little card on top has our wedding date on that I did using a stencil and then inside I wrote a little poem asking them to be my Bridesmaids. I gathered the girls round to my house under the guise of a girls night in, where after a couple of drinks and a chat I presented them with the boxes. I am happy to say they all said yes! Now I'm even more excited! Hope you enjoyed having a peek at another special part of my big day! Have any of you considered doing something a little different to ask your friends to be Bridesmaids? If so what ideas have you had? Wow, I can't believe February is over already! March is here now and I can't wait for spring! The weather has been so bad lately it's heart breaking. All I want is a fresh sunny day to go for a long walk. February has been very much on par with January- Busy! So much has been going on my diary has been overloaded. This month I had quite a lot of holidays to use at work so I have been filling my days off with plenty of activities. House hunting has been top of our list this month, we have trawled estate agents for hours looking for the 'perfect' house. We have been to see a few but so far nothing that has grabbed us. Nobody actually tells you how hard house hunting is- if there's a nice property for a good price you bet within 24 hours it's gone! With this I have been purchasing some bits and pieces for our future home, you can check out my home ware haul here. Another Thing that's been top of our list this month is our Wedding. I have ticked a few more things off the list now, the first was asking my best friends to do me the honour of being my Bridesmaids- a post on how I asked will be coming up soon! Another is we have been and bought our wedding rings! I was so, so excited when we went to choose them. I managed to find one that fits perfectly with my engagement ring and the temptation to keep looking at it is enormous. I have put it away in a special place to try and stop myself! I also picked up this Wedding Day yankee candle which smells lovely and fresh. The idea behind this is to burn it on the morning and evening of my wedding and then on our anniversary every year afterwards, as a kind of reminder for our special day. With Valentine's day cropping up in February we have dedicated the month to spending time together doing fun things. We've been out for some lovely meals, been to see two plays at the theatre and even squeezed in a cheeky bowling game or two. We wanted to make the most of our days off together when we weren't house hunting or wedding planning to just have some fun. On Valentine's day itself we spent it relaxing, starting with breakfast in bed- how any good day should start! then just watched some films and had a cooked dinner in the evening. It was perfect. I have been loving having time to myself and going on plenty of walks when the weather has been fit. I am determined to make some lifestyle changes and force myself to fit in more exercise even though after working all day I really don't feel up to it! That's my February in a nutshell really, house hunting, wedding planning and spending time with the Mr. I have to admit for a February it's been a pretty good month! 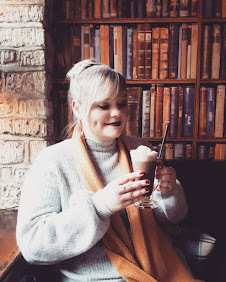 You can expect to see more lifestyle posts up on my blog in the next coming month what with me having so many things going on in terms of buying my first house and organising a wedding! There will still be my usual beauty posts too with a few product reviews on the cards, so nothing to different from my normal posting regime. 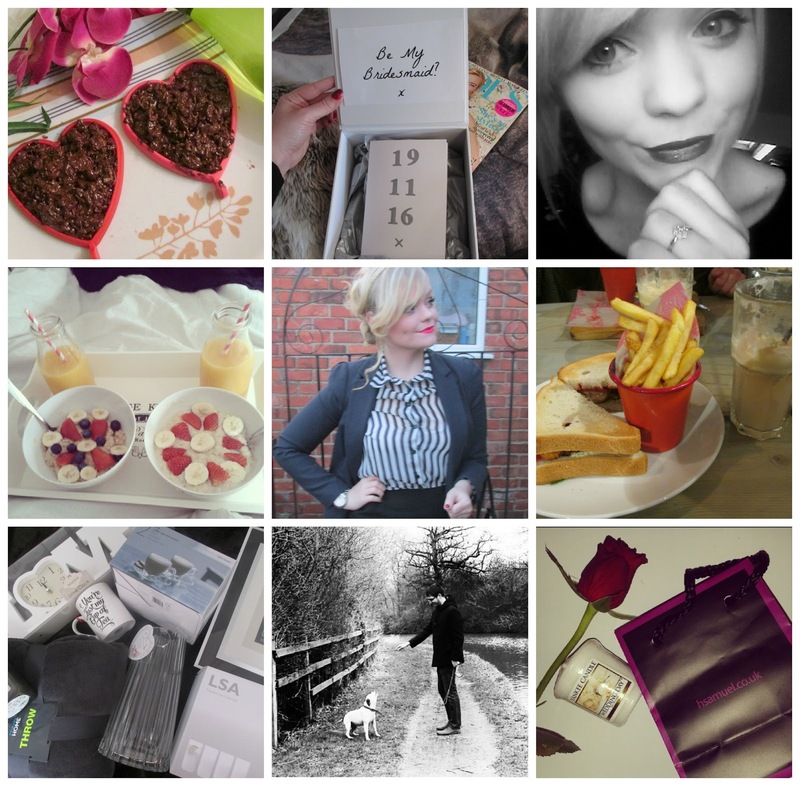 Hope you enjoyed a little peak into my February! If you fancy keeping up with what I'm doing then you can follow me on instagram where I post regularly. What have you been up to this February? Let me know in the comments!